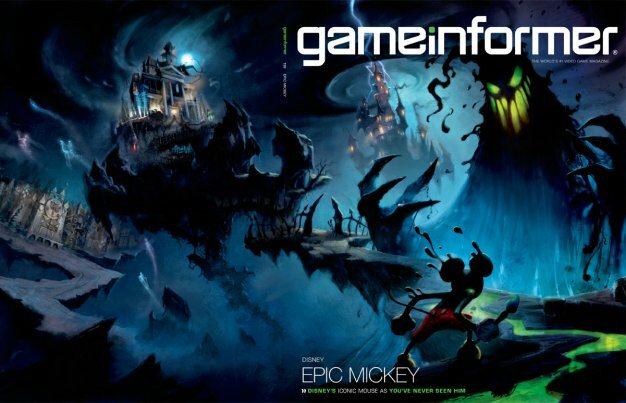 The latest issue of GameInformer has hit the stands and yup, you guessed it, scans have already hit the net. You can check out one page over at Nintendo Dpad. The results are… interesting. Far from the art-style suggested by the GameInformer cover teased some time back, what it appears we are looking at is, well, a bit of a disappointment. It’s a little sparse and lifeless and even Mickey’s retro-inspired character model seems a bit off. Of course, the graphics of Warren Spector’s Wii-exclusive were never going to blow our socks off with technical grunt, but the style itself just isn’t as drool-worthy as first anticipated. Shame. Still, a few grainy scans of just one page of the latest GI are not even nearly enough to write a game off. Beauty is only skin deep after all. Let’s hope Mickey has a great personality to make up for those looks.